Can you find the cheese at the center of the maze without cheating or using the jetpack? 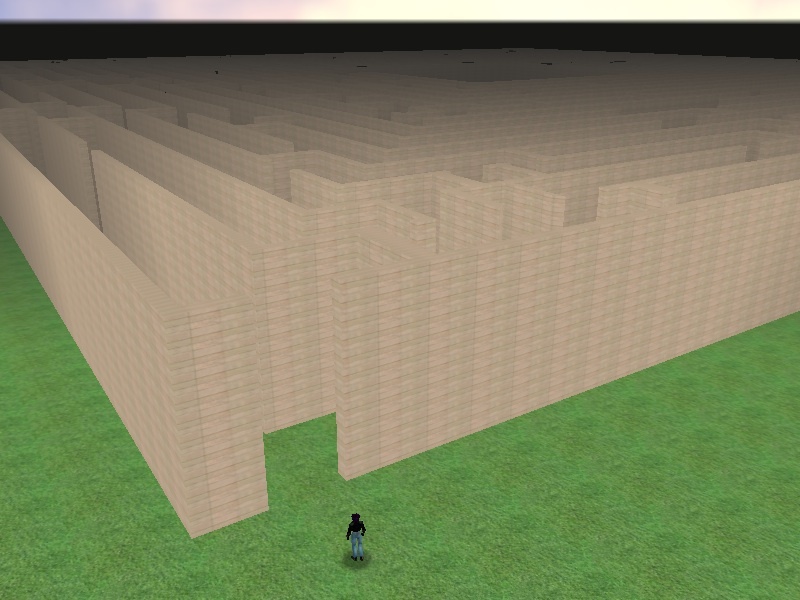 Hint: This maze is quite hard, so you might want to make your own save points along the way. Enable Developer Mode, activate the console, type where 0 and press the RETURN key, you will be given a set of coordinates, write them down. Now if you want to go back to that spot, activate the console, enter the command chr_location 0 # # # (Enter the coordinates), press the RETURN key and you will move to that location. Nice to see the progress! 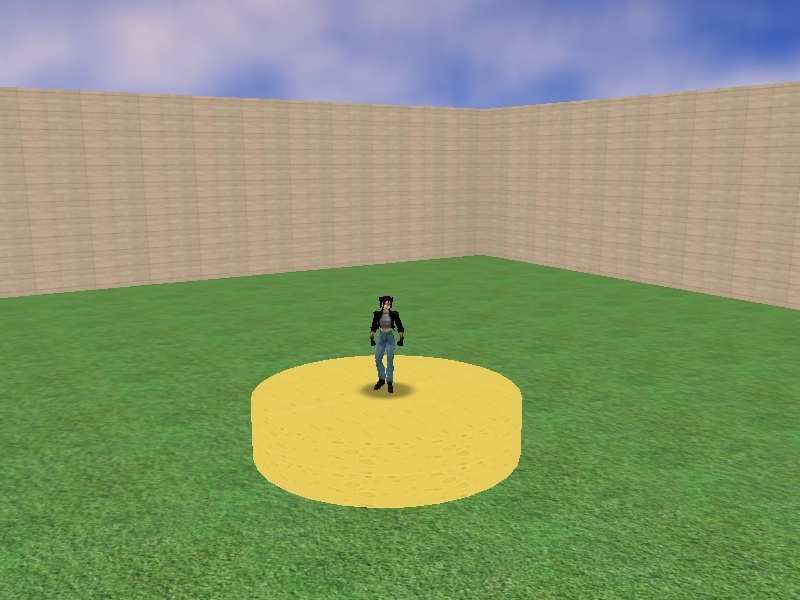 Someday, we'll be able to import levels with storyline and all that. As Agent 86: That's the second-biggest cheese wheel I've ever seen! P.S. : Did you consider giving Konoko any... company in the maze, maybe as some sort of punishment if she takes a wrong turn or ends up at a dead end? also the readme file had those weird lines i guess that's a mac thing ? it also didn't mention that level airpot assault should be loaded and type winlevel to get to the maze. why not adding some enermy in it =] tat cud be fun ,btw NICE work ,,,i love it ! 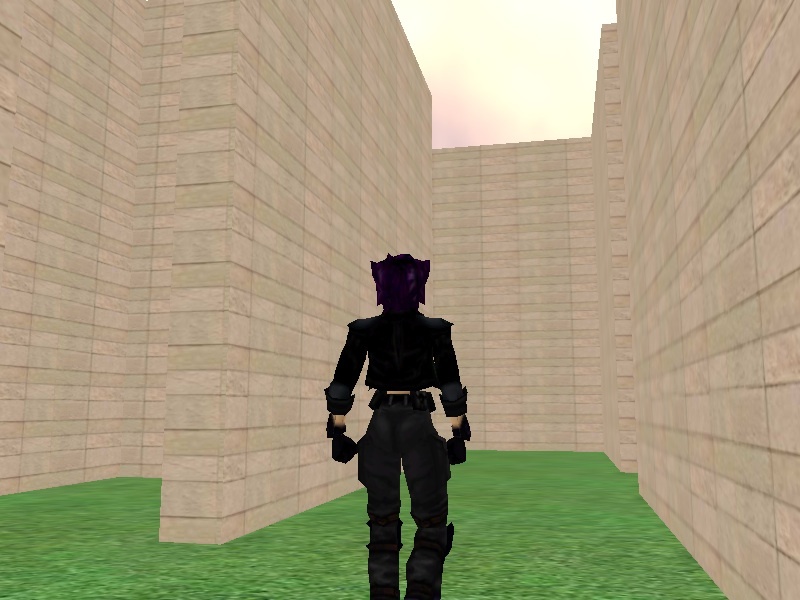 Iritscen: So now you want a Battle Maze? An enemy around every corner, snipers, turret guns, landmines, lots of enemies guarding the cheese... Sounds like a good idea So when are you going to script it? 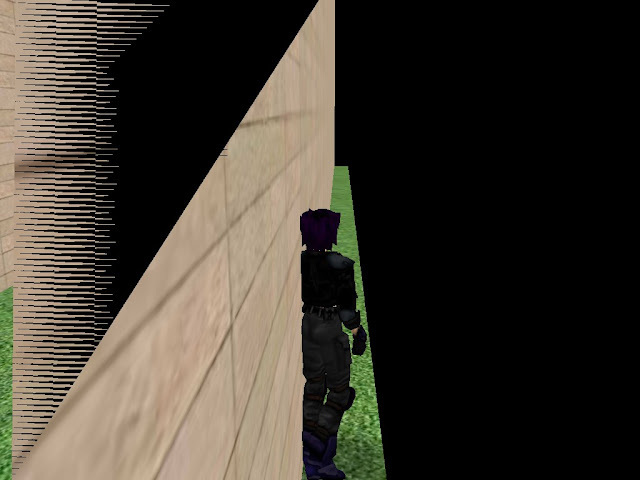 Samer: did I forget to mention the hidden floor traps and secret panels in the walls? You encountered some of the challenges to creating new levels. I'm not sure what causes those issues or how to solve them, yet. If you can find those spots again, can you get the coordinates for them. Thanks for the heads up on the READ ME text. The original maze had a pool at the end. Note: Since there are no pathfinding grids, the AI's won't fight unless you are within their combat range. Edt did u change the zip with the new version or not yet ? Where did the name; Airport Part Deux come from? The name was part of the original game. The airport was to have 3 levels, so level 5 was part 2. But Bungie later changed it to 2 levels. The more I hear about the past, the more I'm annoyed. Someone should've leaked all the good stuff when it was still there.. but ofcourse no one could know about the future. To be honest, I think we should move on and forget about the past. The Iron Demon might be the only content I would see, in the future. Old maps and such would be very hard to recreate, as we haven't actually seen a map through. You guys do know about http://wiki.oni2.net/Pre-beta_content , right? We pretty much already collected everything we know about "the old Oni". And I would really like to bring some of that stuff back. It's just a matter of developing the tools we need, and putting in the time that's required to do it. I've seen this, I'd just share my thoughts. But I've to admit, some of the old content looks awesome. *i saw the video on youtube b4 i go to this forum ,,and i was confuse like hell ! i thought there was two version oni , oni2 .....or my copy was wrong ,,,but where exactly have we got the infomation of ' Bungie had to finish Oni and release it sooon.etc.'' from? No offence dream, but sometimes your post can be a riddle. Well, at conferences it has been told that they couldn't delay Oni anymore, and had to cut alot of the content. Another thing you might wanna look at, is Harry's interviews with the developers that can be found somewhere at the galore. By the way did Harry actually work for Bungie or something, since he's the creator of these forums? Multiplayer was cut because there wasn't enough time to get it perfected. The engine was built as an SP engine, netplay was added in last, and that didn't work out so well. 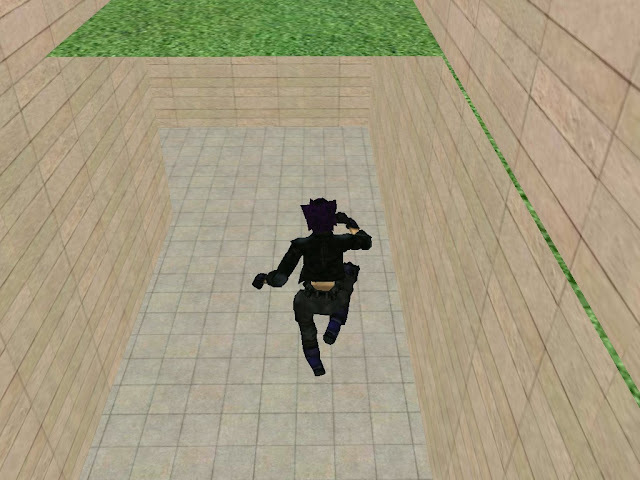 The ID was cut because of AI and pathfinding difficulties. Nope, although the admins who founded and run bungie.org, including Harry, always had a relationship of some kind with Bungie. But B.org is a product of the fandom, 100%. What do you mean be getting the content? Those interviews were done nearly ten years ago, all the previous content has been erased. As I said, that would be pretty much impossible, everything got erased before the beta stage. The closest possibility that comes to my mind, would be to gather the devolpers of Bungie West and let them run some kinda undelete software to retrieve these files, however I doubt they are still running the installation they did back in the late 90's. Maybe they still have the files in their database somewhere.. sometimes unused files are kept, even after a release. can we ask them for it by any chance ? i mean , every one of us will be so hapi 4 tat !